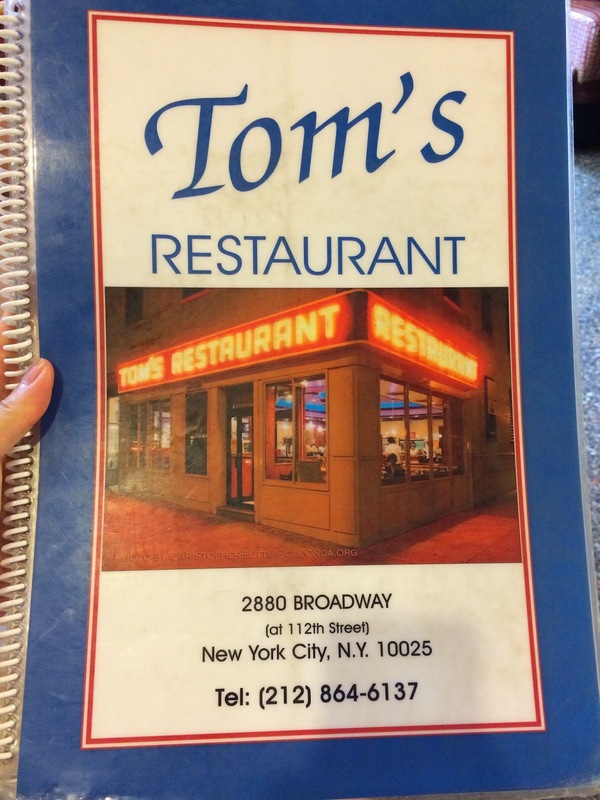 Tom's Restaurant is a diner located on Broadway, near Columbia University and it's been in business since 1940s. 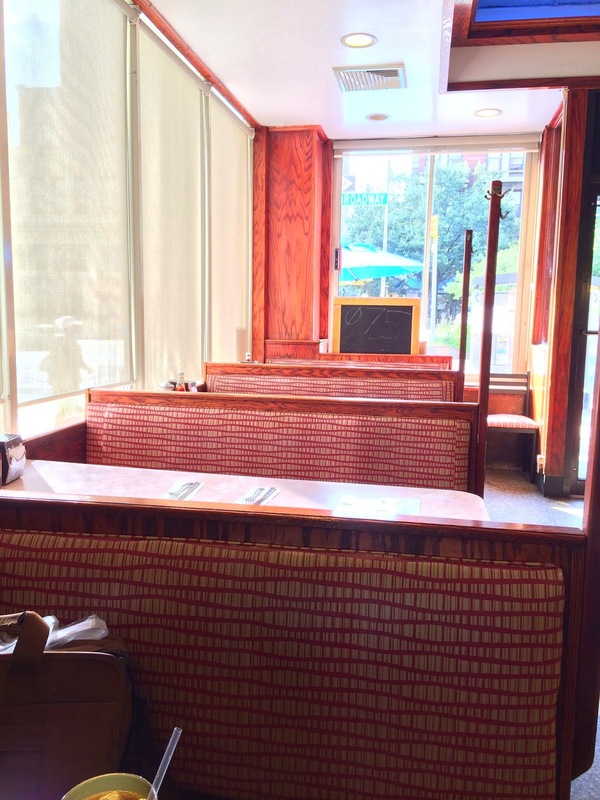 This restaurant appeared a lot in a classic sitcom "Seinfeld," but only the outside, even only the "RESTAURANT" was shown. However, the conversations inside were filmed in a studio, as far as my husband knows. In winter, we didn't see the sign "Seinfeld" or tables outside. The interior was old-fashioned but still I could tell it's different from Seinfeld as the color of the chairs and the layout were different. There're more photo and autographs of the casts and actors and actresses not from Seinfeld on the walls. This is the menu, and there're a lot of items listed in small letter inside. 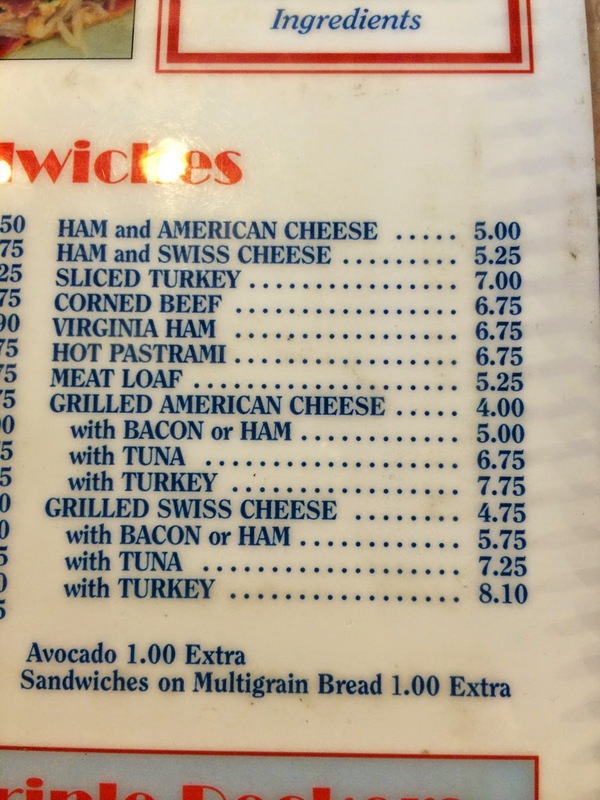 In "Sandwiches," there're 2 kinds of grilled cheese, American or Swiss, but to me, classic grilled cheese must contain American, so I choose "Grilled American Cheese." I could cheese either white bread or whole wheat, so I asked for whole wheat. It's served pretty quick and I don't think we'd waited for over 5 minutes. 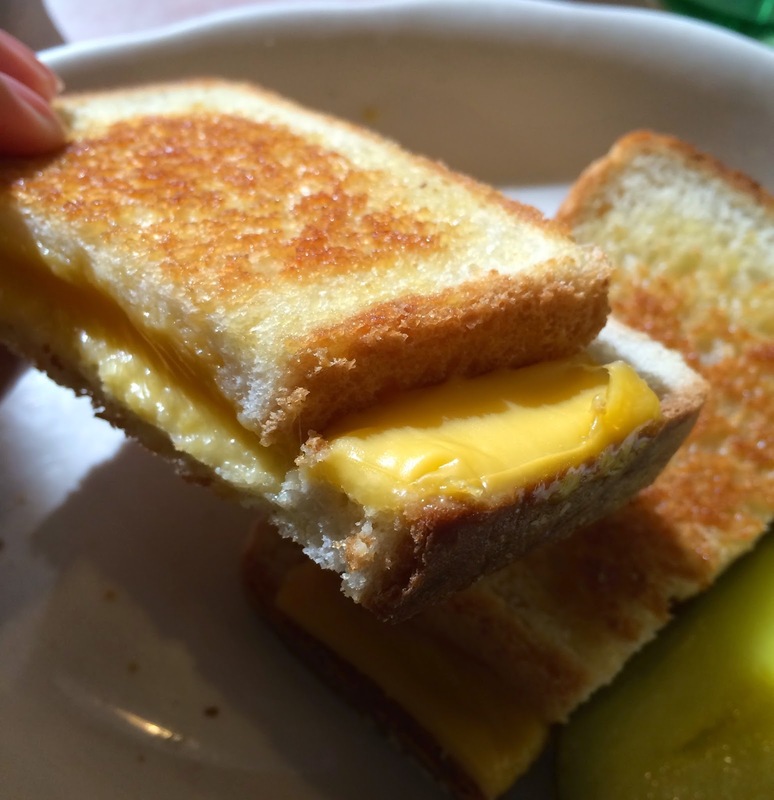 Other grilled cheese I've reviewed. The bread was white, but it'd take another a couple of minutes or so, and I said this was fine. The buttered breads were toasted very well, golden brown and really crispy. Cheese was melted ok --- only a slice of American cheese so it's not that gooey or sticking out from the breads. 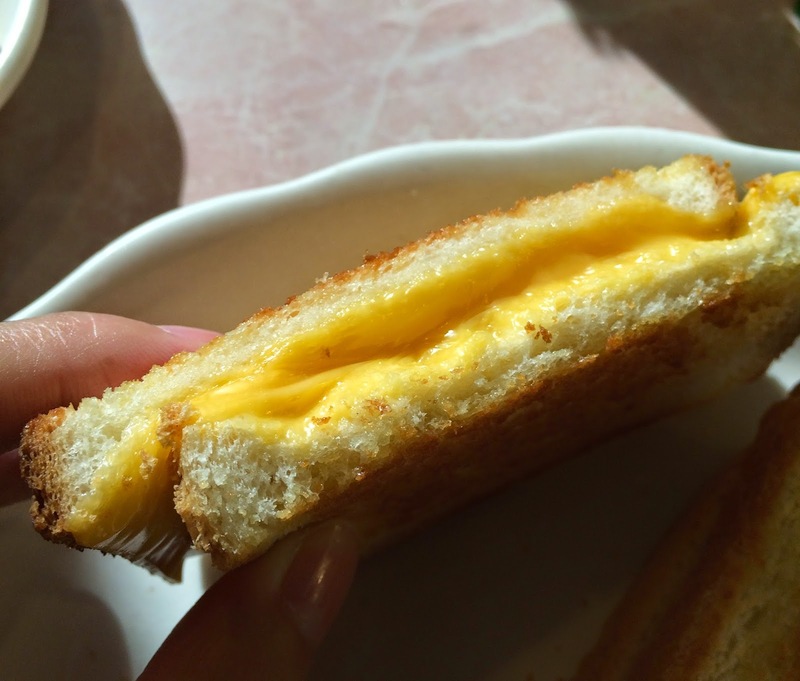 It's a very classic grilled cheese and I liked it a lot. It's only 4 dollars, which is affordable for college students, crispy toast, cheese spread fully between the breads, with a large pickle, and I think the volume was adequate for the price.